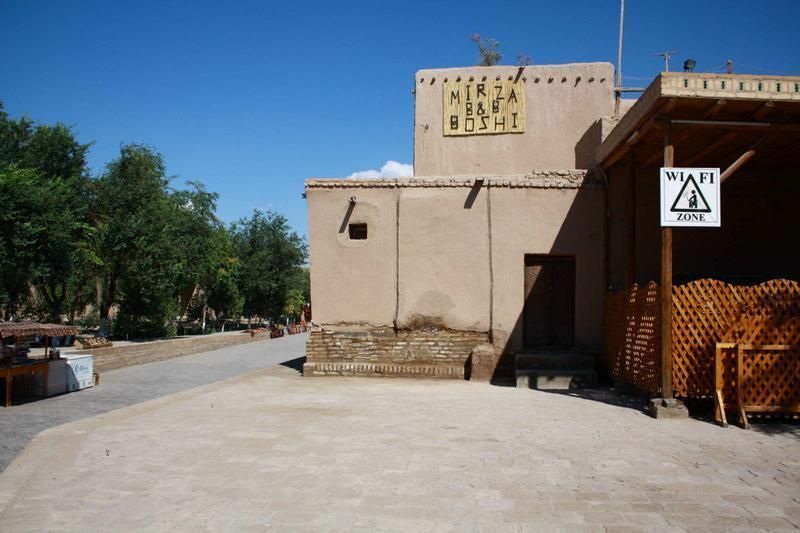 Hostel Mirza Boshi is a one of oldest hostels in Khiva, built in 2000. It is located inside the famous Ichan Kala, near the Ota Darvoza, which is west entrance to the ancient city. 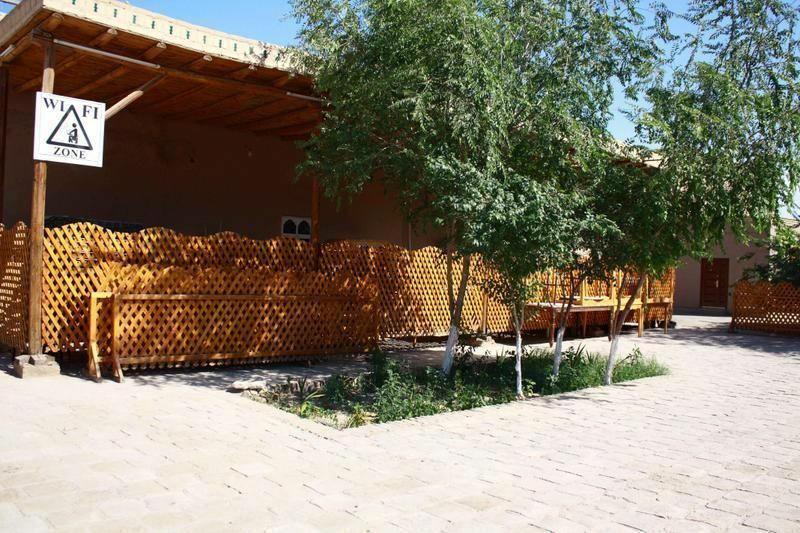 The 9 rooms in Mirza Boshi are equipped with satelite TV, air-conditioning and bathrooms with showers. In addition, we have the honour to invite you to enjoy the following services for our guests:1.Internet access and fax services2.Reservation of domestic air tickets and Railway tickets3.All type of transportation services4.City guides (english, french, german, russian, japanese)5.A stylized restaurant offering delicious Uzbek national dishes, especially Khiva cuisine (Tuhum barak, Shivit oshi)6.Laundry and medical services7.24hours service hot tea, hot bread with jam (mulberry, apricot, figs, quinces)Mirza Boshi is a comfortable and affordable accommodation inside the Ichan Kala straight ahead from the main gate, opposite the famous camel Katya. The friendly staff here welcome the guests over the world. From the nearest airport in Urgench:Distance: 35 kmTransportation options: You can take taxi in airport in Urgench. Time cost: 40 minutes by a taxi from the airport in Urgench to main gate of Khiva city - Ota Darvoza.Money cost: 10$From the nearest railway station in Urgench:Distance: 30 km.Transportation options: it will be better to take taxi.Time cost: 35 minutesMoney cost: 10$.From the near bus station in Urgench:Distance: 30 km.Transportation options: Better to take share taxi (4 people)Time cost: 35 minutes.Money cost: 2000 sum per person.From the main gate Ota Darvoza is 2 minutes by foot walking on the main street in 30 meters.